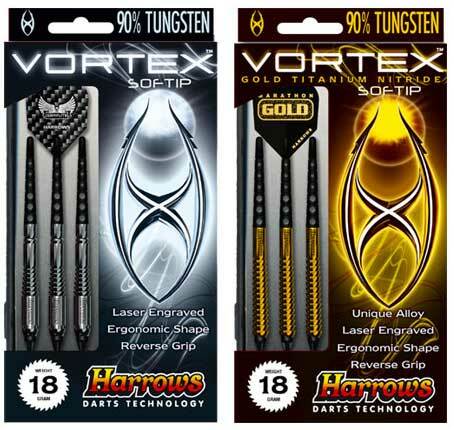 Experience the ultimate in aerodynamic control with these Vortex 90% tungsten softip darts. The laser engraved, frontally loaded barrels feature 45 degree Reverse Grip Zones (RGZ). 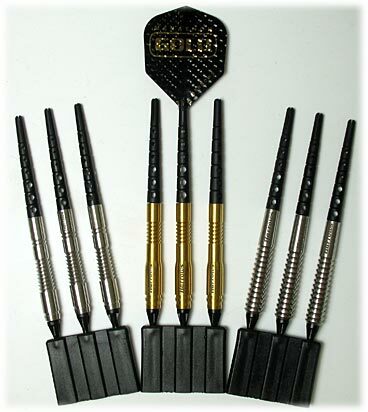 The barrels are combined with high technology flights and revolutionary midi length Graflite shafts. This results in optimised thrust and maximum control - energize your game with the awesome Power of Vortex! 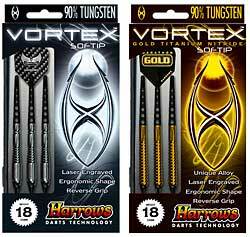 Vortex Gold Darts are a unique combination of Titanium Nitride (TiN) and Nickel Tungsten (NiW), which are fused at 480° C in a Physical Vapour Deposition process. The properties of Titanium Nitride are critical in its use in Formula One car engines and precision machine tools. 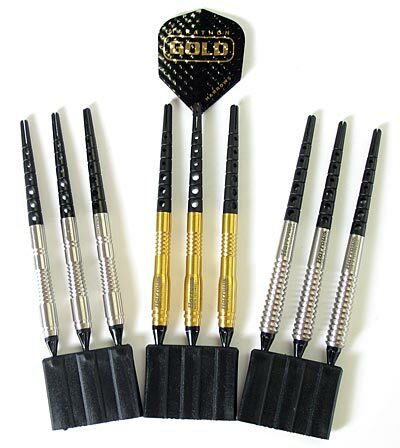 Titanium Nitride's low co-efficient of friction makes it ideal for darts production, increasing the life of the barrels, while offering exceptional grip, combined with ease of release.